Lindsay graduated in 1968 from Purdue University with a BS in Landscape Architecture. After college he worked for David Gill, Golf Course Architect, for approximately five years. He then relocated to Maryland where he worked for several multidiscipline planning/engineering firms such as Greenhorne & OMara, Inc. and Dewberry & Davis. While working with these companies Lindsay was involved with residential subdivision and commercial design along with some golf course design. In 1979 he started his own company and has since been designing successful, quality golf courses. Lindsay has been a regular member of the American Society of Golf Course Architects since 1979 and is also a member of the American Society of Landscape Architects (past president of Maryland chapter), the National Golf Foundation and the United States Golf Association. He is a registered landscape architect in Maryland, Virginia, New York and Pennsylvania. He provides a hands on approach for all of his golf course design projects to ensure that the finished product is of the highest quality as expected by his clients and by himself. 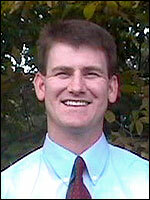 Christopher graduated in 1994 from the University of Notre Dame with a degree in Civil Engineering. After working in consulting engineering for four years, he went to Ohio State University, where he received a degree in Turfgrass Science in 1999. He also has experience working for a golf course contractor and on a golf course maintenance staff. Christopher is a registered professional civil engineer in Maryland, Virginia and Ohio and is a member of the United States Golf Association. Christopher has been with Lindsay Bruce Ervin, Inc. since 1999 and has been involved with the preparation of golf course routing plans and construction documents including drainage, grading and irrigation design. 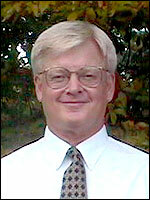 He has helped to prepare colored computer generated master plans and 3-D colored perspectives of golf holes for various projects such as Culpepper Country Club (Culpepper, VA), Hilltop Golf Club (Alexandria, VA) and Compass Pointe (Pasadena, MD). Christopher has also performed construction inspection of Lindsay Bruce Ervins latest 36-hole golf course, Compass Pointe Golf Course (Pasadena, MD). After completing her plebe year in 1995 at the United States Naval Academy in Annapolis, MD, Catherine decided that the Navy didnt have the career positions that interested her, so she decided to resign and enter the teaching profession. She attended Salisbury State University in Maryland and received a degree in teaching. Catherine then moved to New Mexico where she taught at a Navajo Reservation Catholic mission for a year. 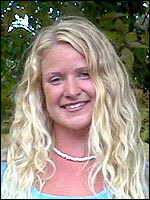 She returned to Maryland and started her own outdoor education school for children on a part-time basis. After enjoying success as an independent teacher, Catherine made the transition and joined the team at Lindsay Bruce Ervin, Inc.
Catherine is a naturally talented artist and a gifted writer. Her talents have allowed her to address the companys marketing needs. She has prepared various individual company promotional products plus helped design the company brochure and logo. Her article Wild and Crazy was published in the April 2000 issue of the Washington Golf Monthly. The piece focused on several golf course architects, Lindsay Bruce Ervin included, who were asked to design a wild fantasy golf hole. Catherine came up with the waterfall theme and created some unique golf holes using her computer skills to combine waterfalls with holes from our golf courses. She continues to add refreshing new ideas for the marketing needs of Lindsay Bruce Ervin, Inc.